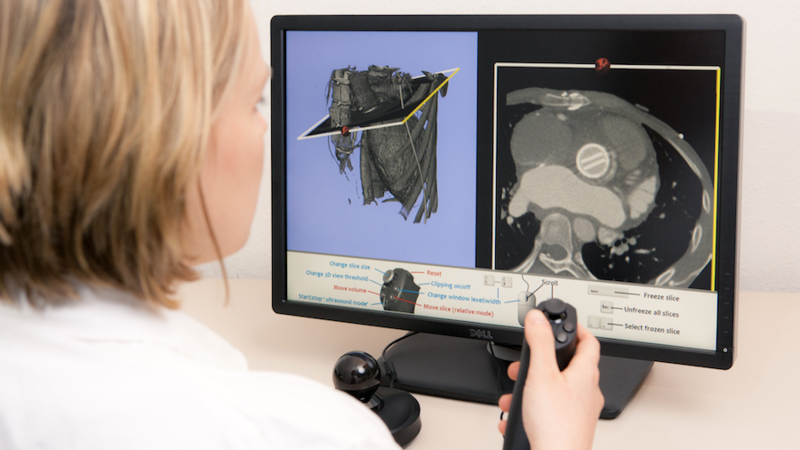 Using an off-the-shelf 3D game controller, the Teistler Imager DIAG enables radiologists to easily and quickly navigate through clinical 3D and 4D CT, MR or PET images. 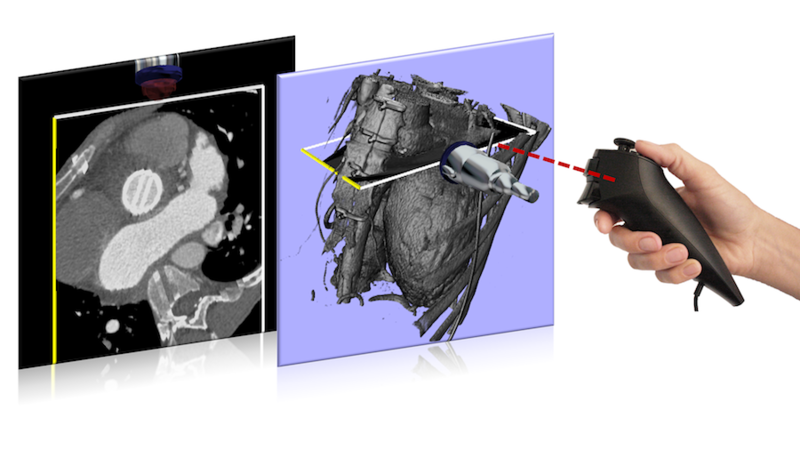 As opposed to software based on conventional input devices such as mouse, trackball or touchpad, the Teistler Imager DIAG provides greater flexibility and more viewing options during the image interpretation. In particular, oblique reformations (MPRs) can intuitively and efficiently be created on-the-fly.